Ponza is little more than 7 kilometers with a single road that runs from its north by connecting the various villagges. Internal mobility from June to September is regulated with three Limited traffic zones which limit it strongly. For these reasons, we recommend to take the car only when absolutely necessary. For internal mobility are numerous services to tourists as public buses, taxis, luggage storage, rent a scooters and cars. 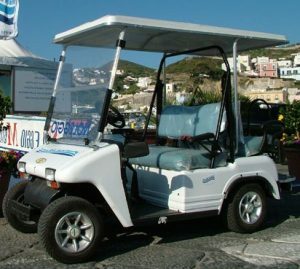 For those who want to take the car as a result, on the island there are two parking lots, Ponza Parking – Salvo Galano via rooftop and one in Santa Maria, and one unattended in Calacaparra zone. The public bus service for 25 pax which links the various hamlets at a cost of € 1.5 each way per person. The start is located in the parking lot of Via banchina nuova, a few meters from the landing of the ship. , be founded in the parks very close to the landings of ships and hydrofoils.